Martha B. Gillette, a resident of the Elizabeth Brewster House, Homer, passed away one day shy of her 93rd birthday on May 5, 2018. A lifelong area resident, she was born May 6, 1925, a daughter of Clifton and Emma Brookes Bush. Martha had been a former resident of North Fulton and John Street’s in Homer after enjoying several years in Florida from 1980-1999. 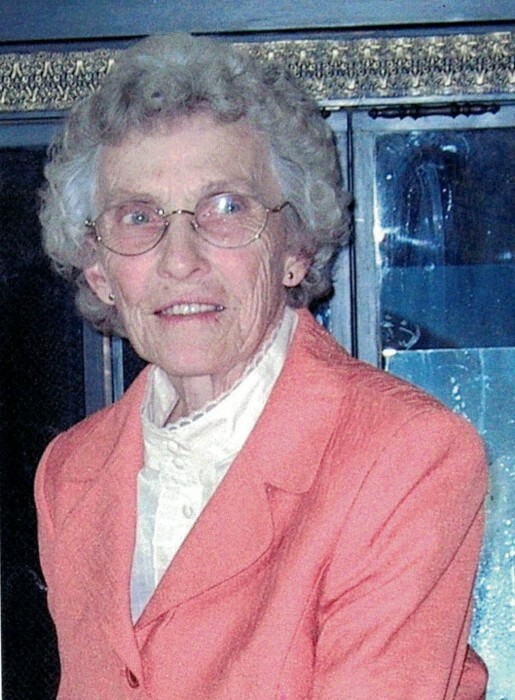 She had been employed as a home health care provider for Cortland County for many years. Martha enjoyed spending time with family and friends, as well as gardening, sewing, baking, and digging up dandelions. Surviving is her son, Wayne C. (Toni) Gillette of McGraw; daughter-in-law, Terri Gillette Boughton of Newark Valley; 8 grandchildren, 20 great grandchildren and 3 great-great grandchildren as well as several nieces, nephews and cousins. She was predeceased by her husband, Henry J. Gillette in 1998; her son, James A. Gillette in 1983; a sister, Elizabeth Gates and two brothers, R. Emerson and Robert Bush. Graveside services for friends and family will be held at 10:00 a.m. on Monday, May 14, 2018 at the Glenwood Cemetery, Homer. A celebration of her life will be held at 11:00 a.m. on Monday at Faith Baptist Church, 1731 Route 13, Cortland, with Pastor Matthew Smith officiating. In lieu of flowers, memorial contributions in Martha's memory may be directed to the Faith Baptist Church Building Fund, 1731 Route 13, Cortland, NY 13045.